The British Legion was formed on 15 May 1921, bringing together four national organisations of ex-Servicemen that had established themselves after the First World War. The main purpose of the Legion was straightforward: to care for those who had suffered as a result of service in the Armed Forces during the war, whether through their own service or through that of a husband, father or son. The suffering took many forms: the effect of a war wound on a man's ability to earn a living and support his family, or a war widow's struggle to give her children an education. Our support work is a lifeline for thousands of serving and ex-Service people and we can only do that with help from you. So please donate today, no gift is too small to make a difference. 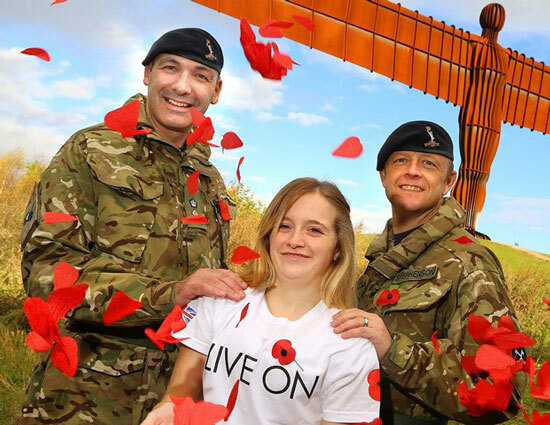 The Legion was voted the UK’s most trusted charity brand in 2015, with the Poppy Appeal standing out as the best known charity campaign. We are uniquely placed to create a mutually beneficial partnership that meets all the business needs of all of our partners.